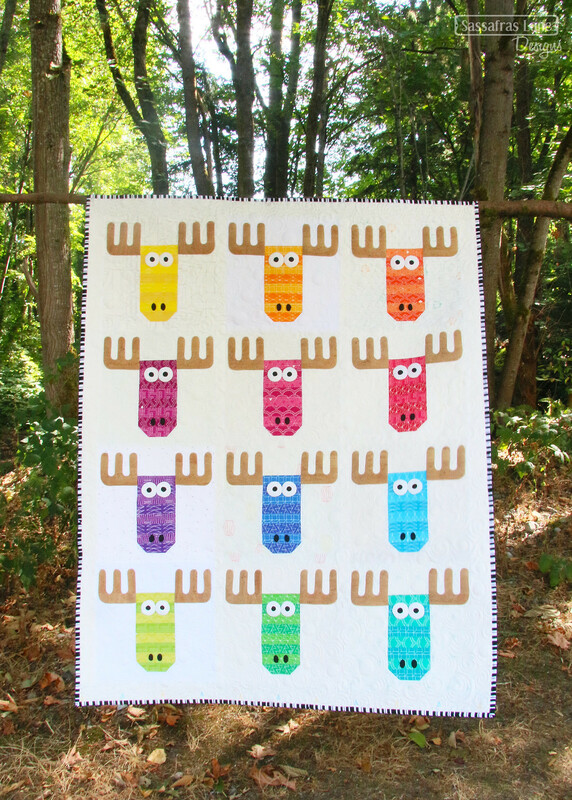 UPDATE: This pattern is now names Wild Moose Chase. Get it here. 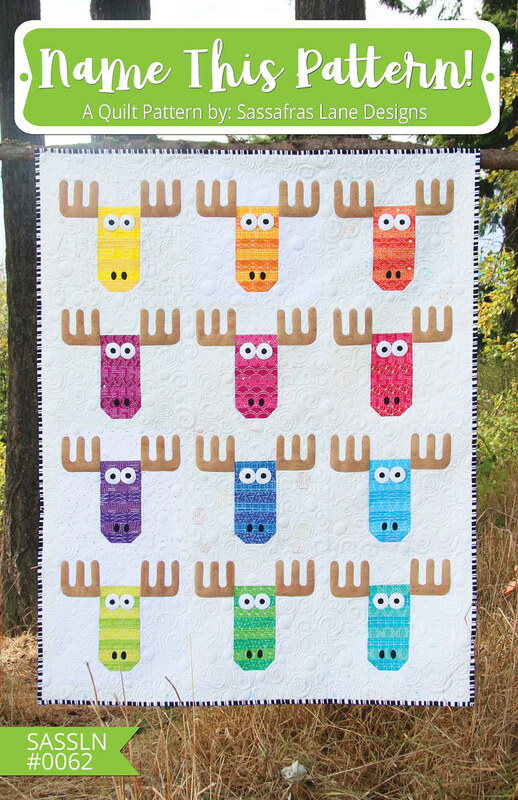 This sweet little moose pattern needs a name! We have been stumped on what to name our upcoming pattern, so we are asking y’all for help. To make it fun, we are going to hold a little contest! We are putting this contest out on our blog, Facebook and Instagram. We are looking for something cute, clever, funny or just down right amazing - bonus points if it is a street name (avenue, drive, street, circle, etc.)! Comment below with your favorite name(s) and we will pick a winner this Sunday. The winner will win bragging rights! 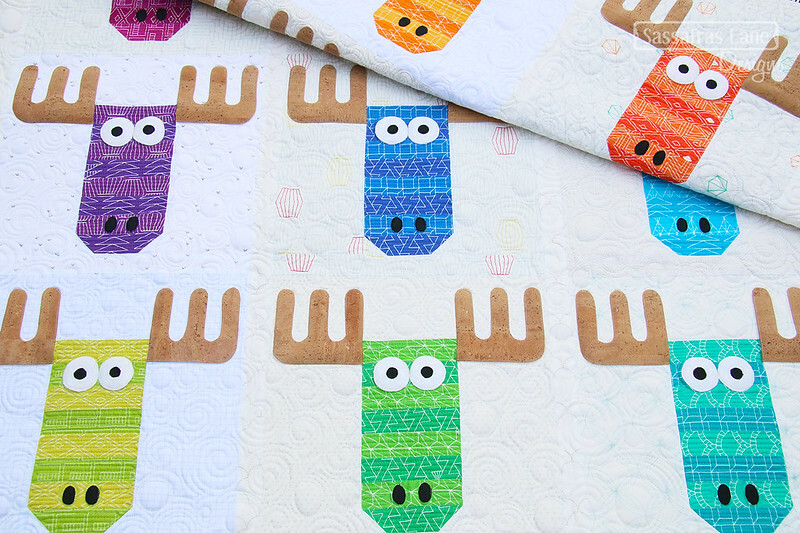 And if that isn’t enough, you will also win the pattern for you and a friend, before anyone else can get it! Now here are some cute photos to help inspire you! 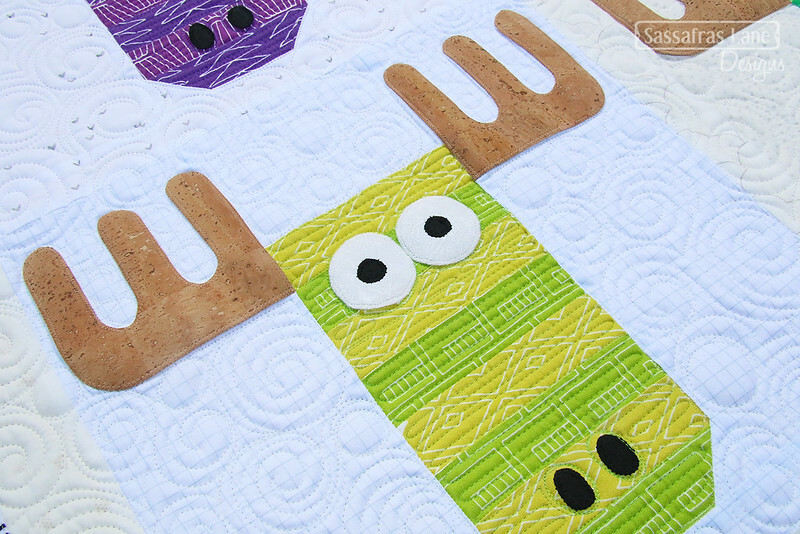 And yes, that is cork fabric we used for the antlers. 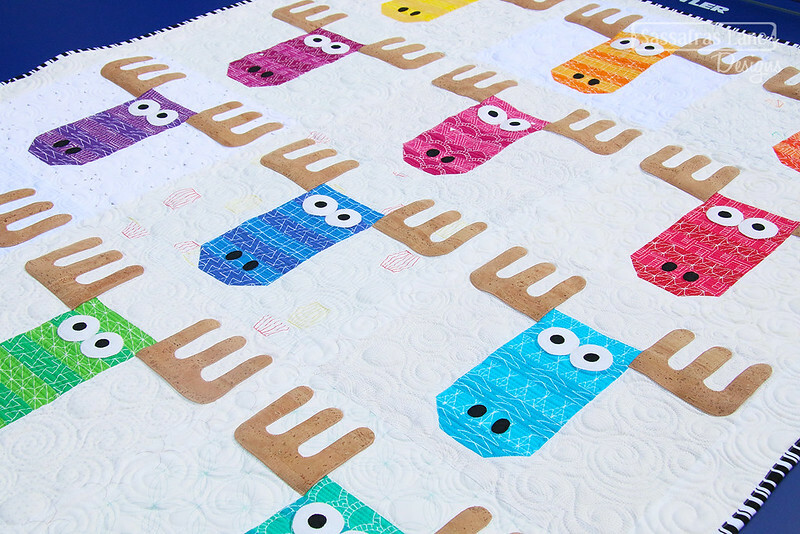 It appliqués like a dream! 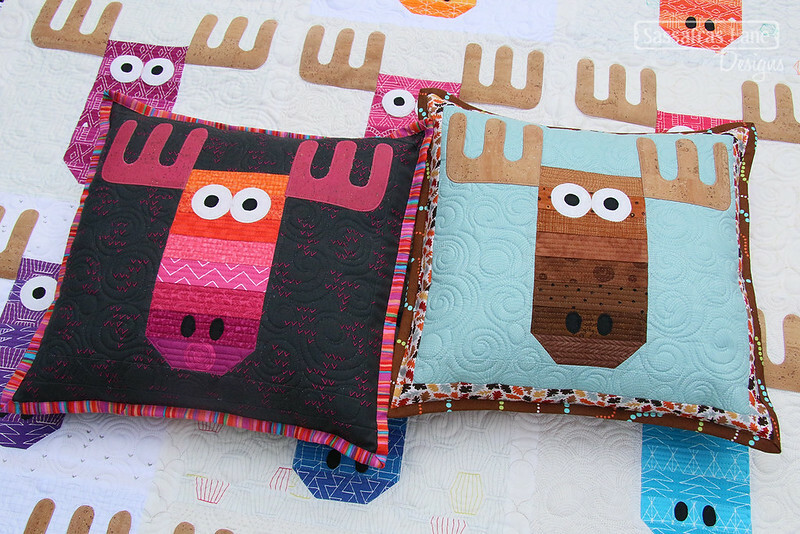 We made some pillows too! 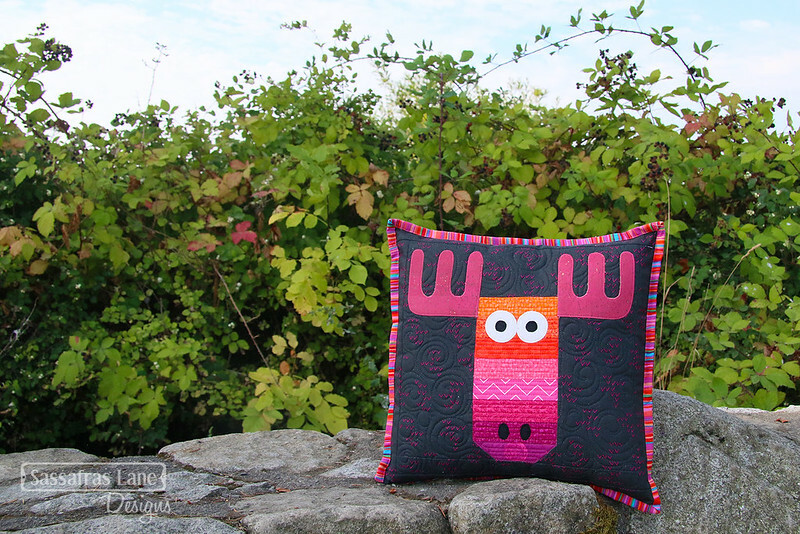 Alces is both the genus and species designation of the North American moose. Has to be Bullwinkle (from the Rocky and Bullwinkle cartoon)! Alces Avenue or Wampoose Way…you just gotta keep the street name going! In sweden we called this great man Helge! Would like to suggest" Moosejaw or Bust". Absolutely LOVE the new pattern. and this was the theme for the week, as soon as our week was finished a Moose was spotted and photographed on our local Petitcodiac River that runs through our city. 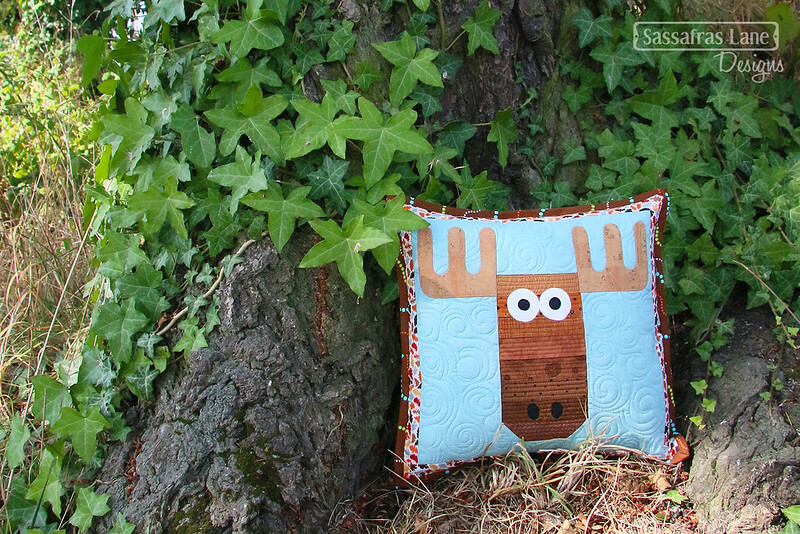 I think your moose are also on the loose. I just watched the Peter Rabbit movie and every time I see this I think of the deer from the movie who freezes and says “Headlights”. So as silly as it is I think Headlights is a great name.